Athens (AFP) - More than 2,500 years ago, an Athenian nobleman named Cylon -- the first recorded Olympic champion -- tried to take over the city of Athens and install himself as its sole ruler. According to Thucydides and Herodotus, Athenian and Greek historians who wrote about the coup, Cylon enticed an army of followers to enter the city and lay siege to the Acropolis. They were defeated, but Cylon managed to escape. Now archaeologists in Athens believe they may have found some of the remains of Cylon's army in a mass grave in Phaleron, four miles (6 kilometres) south of downtown Athens. 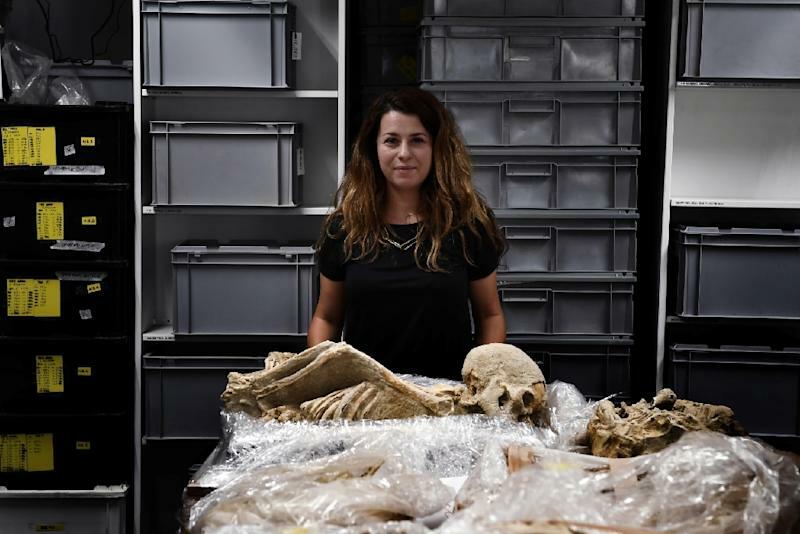 The discovery of the 80 skeletons of men is "unequalled" in Greece, said site project director Stella Chrysoulaki. The men, young and well-fed, were found lying in the unmarked grave in three rows, some on their backs while others were tossed facedown on their stomachs. All of the men had their hands in iron chains and at least 52 of them had their hands tied above their heads. They died from blows to the head, victims of a "political execution" that dates back to between 675 and 650 BC according to pieces of pottery found in the grave, Chrysoulaki said. At the time, Athens was just being formed and the city was transitioning towards a democracy, Eleanna Prevedorou, a bioarchaeological researcher on the project, said. And it was happening "against a backdrop of political turmoil, tensions between tyrants, aristocrats and the working class," she added. Bioarchaeological scientists use forensic research, such as DNA profiling, to investigate and ultimately uncover how humans lived and died by examining skeletons. "We are going to use, roughly speaking, the methods made famous by television series on forensics crime science," joked Panagiotis Karkanas, laboratory director and geoarchaeologist at the Malcolm H. Wiener Laboratory at the American School of Classical Studies in Athens. Probably the most famous of these TV series, CBS' "CSI: Crime Scene Investigation", which chronicles the cases of an elite team of police forensics investigators, has spawned the shorthand CSI to describe the technology the agents use. Karkanas' team, though technically not crime scene investigators, will apply similar high-tech methods using some of the same tools. They will perform a battery of tests -- particularly gene, radiographic and isotopic analyses -- to uncover the mysteries hidden inside each skull and skeleton fragment. Whatever clues they gather will give them an idea of how old the men were, whether they were related, where they came from, how healthy they were, and where they stood on the socioeconomic ladder of the times. But unlike crime dramas, where investigators reveal exactly how and why the crime took place, this cold case will likely not be resolved for five to seven years. The mass grave was uncovered in spring last year in one of the largest excavation sites Greece has ever unearthed. Though the site was found a century ago, large-scale excavation of the complex only began in 2012, when archaeologists discovered a large cemetery containing over 1,500 skeletons dating back to between the eighth and fifth century BC. More than 100 of them bore the marks of a violent death. Other small-scale excavations since then have unearthed other treasures, including the group of men believed to be part of Cylon's army. Many of the skeletons found were bound or shackled, and facedown in unmarked graves, sometimes in sandy holes barely big enough to hold a body. Other skeletons were buried in open pits, placed on funeral pyres and in jars, the preferred coffins at the time for infants and small children. According to researchers, the cemetery measures about 4,000 square metres (372 square feet) and all 1,500 skeletons will eventually be taken to the laboratory's facilities for proper study. 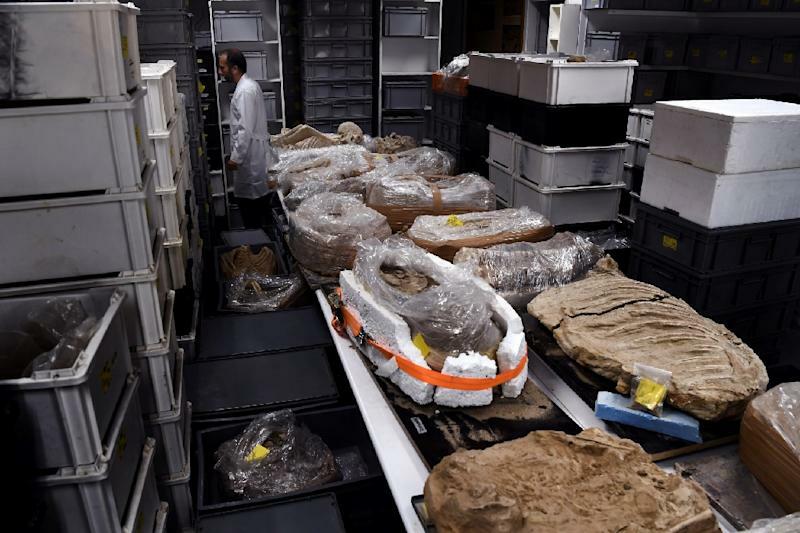 At least 10 of the 80 men found are headed to the lab later this year, while the rest will stay as part of an upcoming exposition on the excavation site. One of the skeletons already at the lab, with his arms twisted behind his back, is a reflection of past Athenian violence. He could have been a "prisoner of war, a criminal or a runaway slave," Prevedorou said. 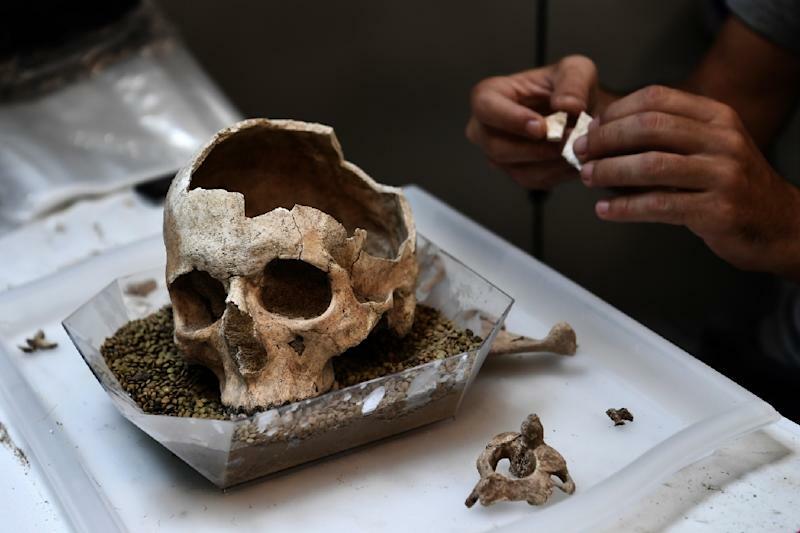 Even the nonviolent deaths, or deaths without historical reference -- notably the hundreds of children's remains found in jars -- have a story to tell, Karkanas said. The bones could reveal the children's lifestyles and diseases, shedding more light on ancient Athenian culture and history. Most of the recorded ancient history on Athens and Greek life describes the "elite and the victors," Karkanas added. But to rely solely on those testimonies to understand the past would be like "reading newspapers today to find out what's going on in the world right now".